As with any game, some content will be removed by the staff during development to improve its level-of-quality. Though most of this content is permanently gone once removed, some still stays. From what little is left, learn more about the salvaged removed content and their original roles in the game. The earliest pictures and trailers for Silent Hill 2 showed a different version of the game's logo. The original logo's font was the same as the first game's logo with differences being the color change, grunge added around the text and a '2' adopted at the end. The logo was soon changed to what is it now to help deliver a more diverse, unique style to help show that the sequel would be vastly different from the first game. Deleted from the final cut of the game, this audio consists of Mary's voice reading the letter received by James from Laura in the hotel. A disturbing and haunting audio once played of Mary being suffocated while watching James' video recording of him and his wife in Silent Hill. 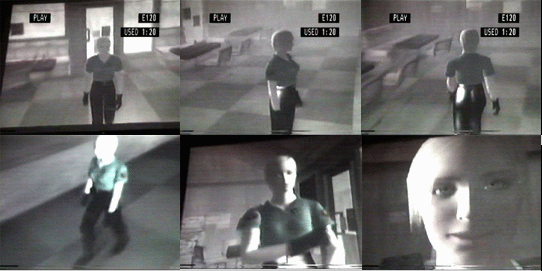 Before Silent Hill 2 was underway Konami unveiled a short demonstration that showed what they were capable of producing using the power of the PlayStation 2. The demonstration was very short and consisted of Cybil walking around the restaurant from the first Silent Hill. This demonstration was crucial as it helped the development team better understand the potential of the PS2 engine which would carry over to development for Silent Hill 2.